It’s proof that if enough customers make their voices heard, Microsoft will listen. It’s fair to say that not everyone prefers the new Skype desktop experience, a rather dramatic revamp of the Skype UI that is heavily influenced by other social media platforms. And if you’re part of that camp, good news: Microsoft says it will leave the older, “classic” Skype in place for now. In a post on the Microsoft community forums, Microsoft said that it will leave support for the desktop version of Skype 7, also known as “Skype Classic,” in place “for some time.” The original plan was to discontinue support for Skype 7 on Sept. 1, replacing it with the new Skype, AKA version 8. The goal was to “ensure that all customers have the best possible Skype experience, and that there are no quality or reliability issues resulting from old technology and new technology interoperating,” Microsoft explained. 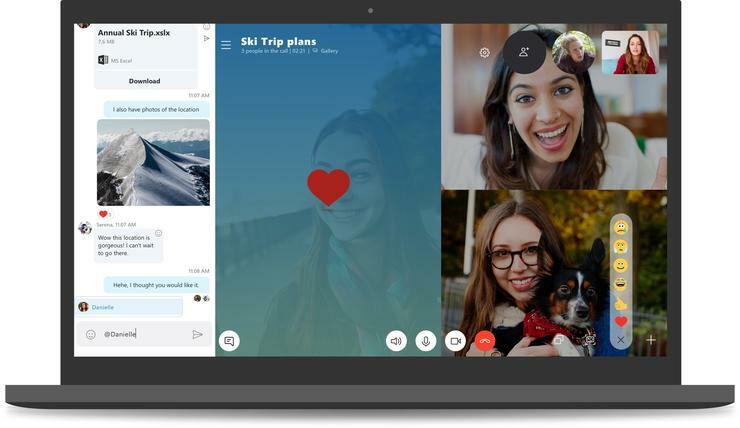 The “new” desktop version of Skype boasts features like free HD video and screensharing calls, with up to 24 different users. Users can also share up to 300MB of files right within the Skype application. However, some users complained that Skype’s reliance on a single window robbed them of their ability to multitask with separate conversations in multiple windows, and that features such as “@mentions” and especially reactionary emoji were unprofessional. Note that the version of Skype that’s being affected is the “desktop” version of Skype, most typically associated with Office 365—which is why business users complained that Skype was becoming too consumery. The UWP version of Skype within Windows 10 will receive the new Skype experience this fall, as part of the “Redstone 5” fall update, which Insiders are receiving. Skype for Business (which was originally Microsoft Lync) , meanwhile, has been absorbed into Microsoft Teams, which also blends some consumery features within a professional environment. What this means for you: Skype is one of the most unnecessarily confusing apps within the Microsoft ecosystem, in part because video VOIP calls are becoming a feature, rather than a standalone product. (See: TiVo.) Chances are if you use Skype for business, you’re already well aware of the pros and cons of each platform. What Microsoft’s decision does is preserve choice. It’s a victory for consumers who made their voices heard—which, for future reference, is typically the Feedback Hub app within Windows 10. Use it!